In 2012, I decided to make an enormous change in my life. After a freelance career spanning twenty years, as a novelist, a teacher of creative writing, a writing coach and literary consultant, I figured it was time for something different. It was time, I thought, to do something that might be more socially useful in some way and I retrained, at London’s Institute of Education, to be a Drama and English teacher in secondary schools. 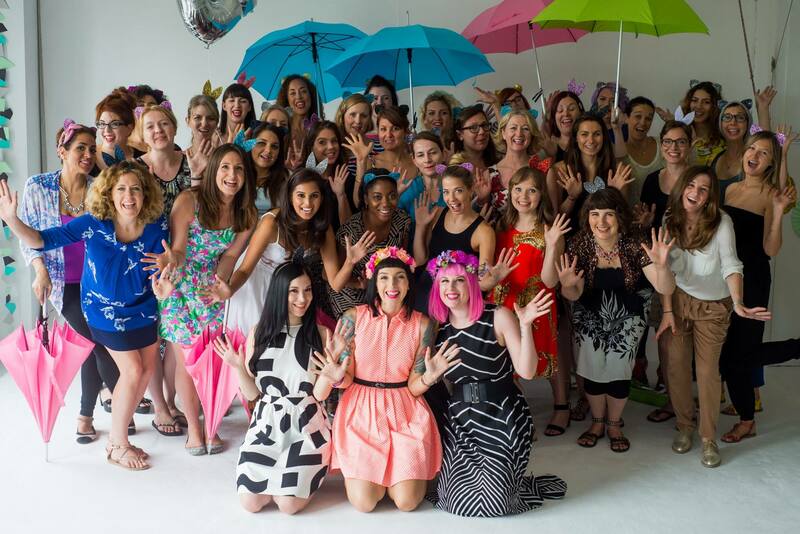 Fast-forward two years and you find me, on 19th July 2014 at The Blogcademy, in Shoreditch, London, having ditched my sensible teacher dress and now sporting a pair of blue, glittery cat ears (that’s me in the second row from the back, beneath the pink umbrella). Is this a temporary aberration? A strange case of summer holiday madness? No. My experience at the Institute was a fascinating one, as was my spell teaching Drama in Southall and my job teaching English in a girls’ school. But for many reasons, life as a schoolteacher was not for me. I will never forget the pupils that I taught, they have taught me as many lessons as I have taught them. I will also, doubtless, continue to work freelance in an educational context. But my experience made me more aware than ever of my core values: family, freedom and creativity. So, having taken the decision to quit, to return to the freelance life, I happened to learn about The Blogcademy. This super-sparkly course run by three highly fashionable and experienced ‘headmistresses’ Gala Darling, Kat Williams and Shauna Haider ,was taking place in London on the very day after I finished at school. What better way to celebrate the next stage of my life than this? 1. Think about your ideal reader. This may seem a really obvious one, but it struck me that, without realising it, I’d possibly written in a rather bland way on my blog in the past because I hadn’t been thinking about who was reading my words. As soon as I thought about my ideal reader – passionate about writing, intelligent, a voracious devourer of good literature – much fell into place. 2. Write authentically. If you’re not loving what you’re writing, then what’s the point? If I’m not passionate about what I’m saying to you, I might as well not be here. There’s no point in me hashing out yet more articles about how to write a perfect plot, because I will bore myself to tears. I want to inspire my readers, but in new ways. 3. Write regular features that will appeal to your ideal reader. The idea of using regular features was not something I’ve given a lot of thought to before. Once I started brainstorming however, I got extremely excited. Why? 4. Use great pictures, make them large, ideally your own. Well derr! Photography has been a passion of mine for some time, but I had very little time to pursue it whilst I took my two year teaching sabbatical. But at Blogcademy, I soon began to think of literary features that would take me out of my office and into literary London with my camera. For me, this was the biggest win – I could combine my developing love of photography with my work on this blog. I’m really excited to share my ideas with you in the coming weeks and months. 5. Think about what you’re going to stand for in ‘a sea of internet personalities’. Gala said that ‘the best repel and attract in equal measure’. It doesn’t matter if some people hate us, because if they don’t get what we’re trying to do, then they’re not the right reader for our blog. Focus on story above all – what is your story that will make people want to connect with you? 6. Surprise and delight your readers: the weirder the better. Don’t be bland, in other words. It makes me think about the fact that we don’t have to be just one thing either. I can wear the teacher dress or the cat ears. The sparkle and the seriousness can co-exist. 9. Embrace imperfection. It doesn’t matter if it’s not perfect. Look at Seth Godin’s blog which hasn’t changed in years in terms of the look. It’s the content that people want and if your content is great, your audience will keep coming back. Design should not overpower content. 10. Respect your readers. Get to know your readers through comments, social media and email; ask them what they want and need from you, listen and respond. Befriend your readers on Pinterest and get a visual sense of what they enjoy too. Most of all, be clear about what you stand for and go the extra mile for your readers. Naturally, these ten ideas are just the tip of the Blogcademy iceberg. I learned so much about the business side of blogging too (branding, marketing, advertising) but I wanted to focus on the writing side here and I do hope that these ideas enable you to think more clearly about your blog too. If you’re interested in what the course had to offer, the blogcademy also do downloadable video modules (or they may be visiting a city near you soon). 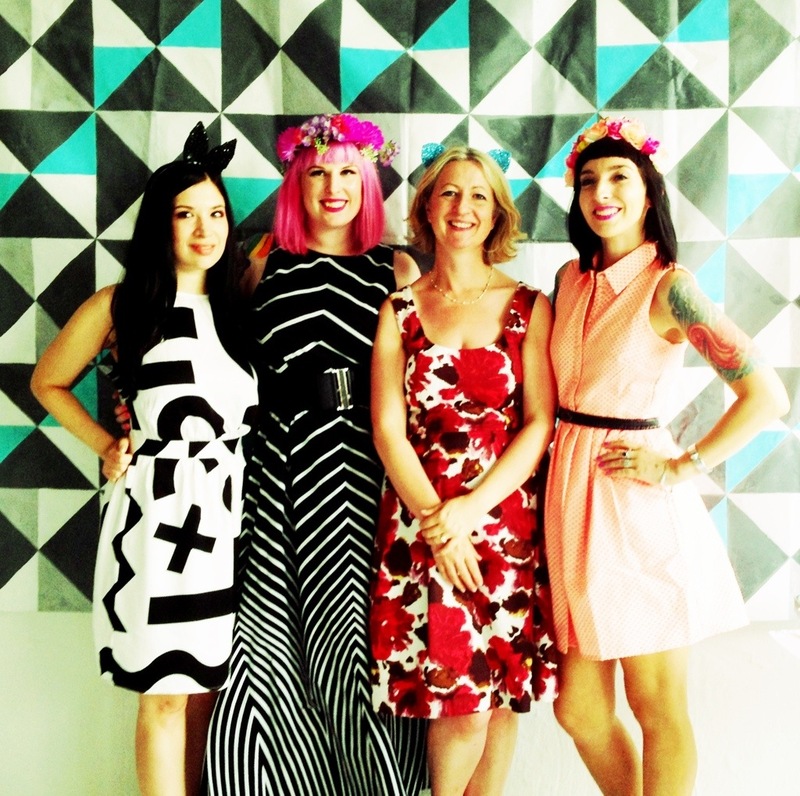 Thanks so much to Kat, Gala and Shauna for delivering so much valuable material in such style. I had a whale of a time and met some brilliant new blogging friends too. If you want to read another account of the course, the lovely Charlotte gives hers here. In the coming months I will be working on my own fiction two days a week and I’ll be blogging, coaching and working on educational projects for the other three. I’m looking forward to connecting with you here and to returning to the writing life.